Devising theater is a method of collaborative theater making. This class is open to students of theater or dance 18+. Participants will learn how to generate content collaboratively, how to identify which themes are important to the group, then how to explore these themes through physicality, movement, and gesture. We will examine the process of growing an original physical theater piece that is visual and visceral. Participants can expect to make work that is unique to the individual lives, questions, aspirations, and imagination of the class. Together we will tap into the incredible and beautiful power of collective intelligence. Chris Gonzalez is the Artistic Director of Water Or Bread Theater, a Devised Physical Theater company based in Northampton, Massachusetts. He has devised theater with a youth education troupe at Northampton High School. Chris has just finished filming a full length Devised Physical Theater piece called "The Restaurant", which he acted in, directed, wrote and produced. Chris was a recipient of the James Baldwin Memorial Scholarship Fund for Playwriting from Umass Amherst, where he studies theater. At Umass Chris has studied with a concentration on performance, and has recently had the honor of playing Shakespeare’s Othello. 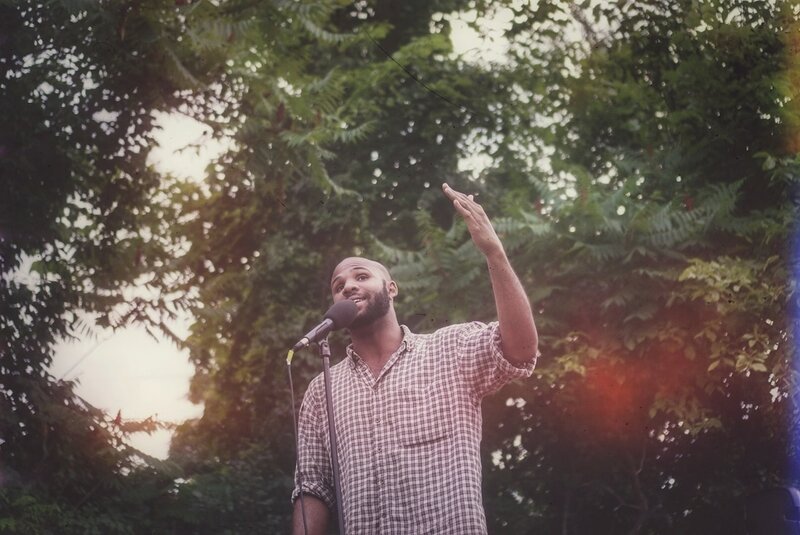 Chris also has been a featured poet around Massachusetts for the past 5 years, performing alongside International Slam Champions Saul Williams and Shane Koyczan. Chris’s first book of poetry, "the end or the beginning of water", will be published this fall by Human Error Press.